Application for refining flux-AdTech Metallurgical Materials Co.,Ltd. AdTech’s refining flux is white with slightly gray powdery fine particles. After appropriate heat treatment and screening, it turns to uniform size, which is conducive for transferring in refining jar with(N2 or Ar) gas as carrier to the bottom layer of molten aluminum. 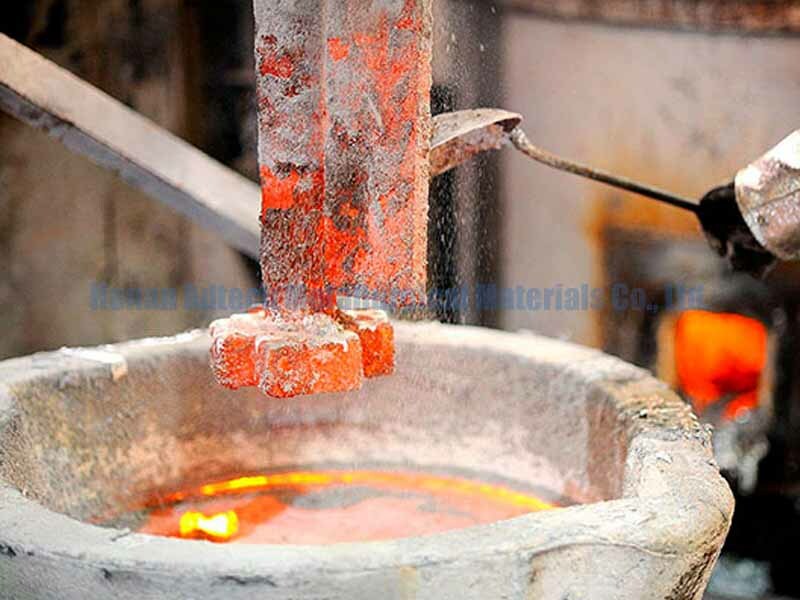 Through physical and chemical changes in the molten aluminum, numerous small bubbles are formed and fully contact with molten aluminum, separating hydrogen and other harmful gases.